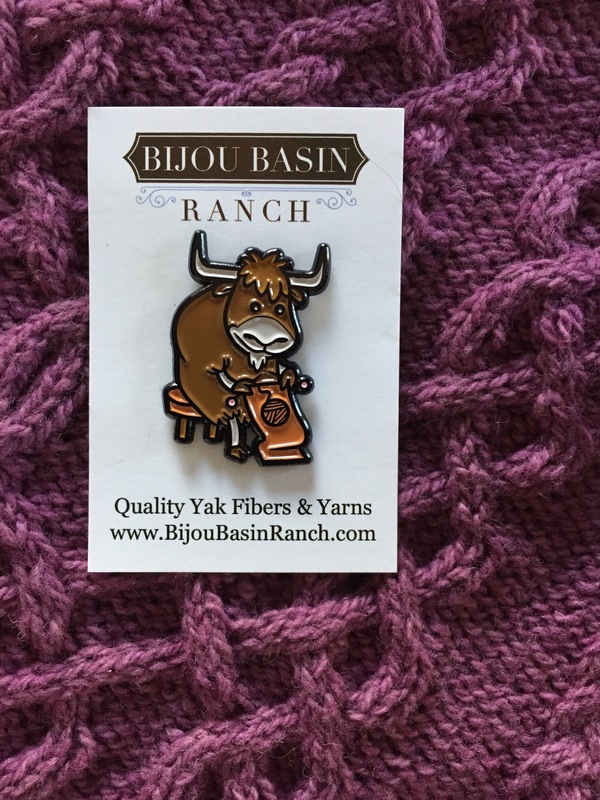 As you most likely know, I’m lucky enough to occasionally be asked to write guest blogs for Bijou Basin Ranch on and off during the past year and I’ve been reviewing yarns for them for much longer than that. This is a company that I really have come to love over the years — the yarn, the patterns, and just the company in general. You can check out my latest post on the Bijou Basin Blog right here. In it I discuss working from charts versus written instructions in patterns and why patterns which contain both options, like the highlighted sample Glenna’s Cowl by Marly Bird, are so wonderful. I even include some tips for those wanting to try charts for the first time. 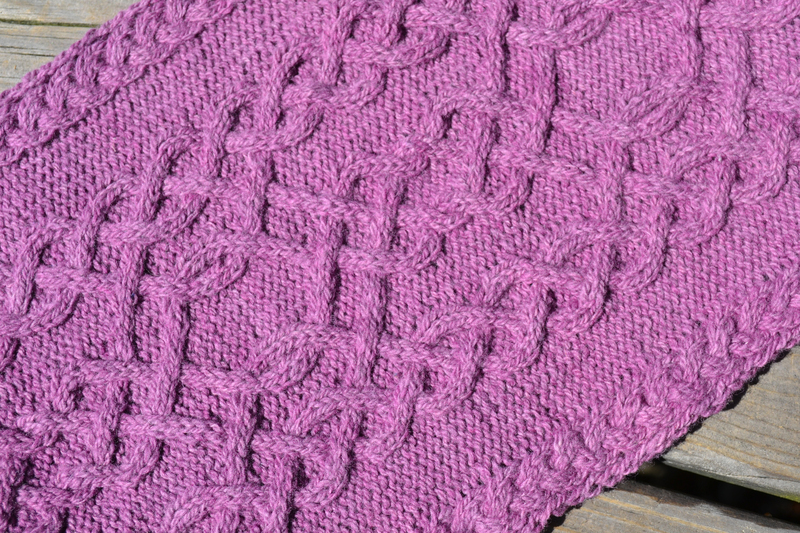 This pattern looks awfully complex, but it was actually really, really fun. I thought I’d never be able to handle it during the move, but it actually turned out to be really relaxing. And the Himalayan Trail I knit it in is the absolute perfect pairing. Definitely check it out and read more about it over on the Bijou Basin Blog. And while you’re there..
Have you seen their new Yak Enamel Pins? I can’t wait to tack this little dude onto my knitting tote! And before I sign off, I want to share a very, very heartfelt thank you to Carl at Bijou Basin Ranch for his patience in working with me on the timing of this project and post as it ended up landing right in the middle of my move. It could have easily been an added stress for me during a very busy time, but because of his flexibility it simply was not and I’m very grateful for that! I jumped over and read your post at Bijou Basin Ranch. GREAT info for those who worry over cables. I used to avoid them, but as with other techniques, there were patterns I wanted to try for which a chart was the only option, so I made myself learn them. I started with simple ones and moved up, Now I much prefer charts – so much easier to follow than a bunch of words. I use a magnetized chart to keep track of where I am and keep the magnet ABOVE the line I’m on so I can see what I’m knitting into and what it should look like. I also highlight the cables (one of your hints) in a different color for left or right, and it goes faster as I don’t have to stop and look at the symbol legend. Good article. I find it really fascinating how knitters are very passionate about charts, whatever side of things they fall on. I’ve never been able to decipher if it’s a mental block or just different learning/understanding styles. Either way, I’m a big fan of patterns that supply both written & charted instructions and this one was loads of fun for me! I thought I’d never be able to manage working on it during the move, but it become the only thing I wanted to work on during! Oh, I like your idea of having the magnet above the line you’re on, too! I always just use highlighter tape, so I can see through it to what came before! I discovered Bijou when I made my first trip to Interweave Yarn Festival this year. They had the most awesome yarn, I think it was yak with silk. I really wanted to buy some, but my pocket book was already on the negative side. Next year, hopefully, I will find their booth first thing. You seriously can’t go wrong with their yarns! I got my first skeins years ago — either I hadn’t started blogging or I had *just* started. I bought two skeins of their classic “Bijou Bliss” cormo+yak blend while I was on vacation and it was such a big deal because it was such a luxury purchase. It’s the warmest, softest yarn though and now I am working my way around their different bases and I try to knit with their yarns whenever I can. They are well worth the investment!